New Haven, Mo. – Thursday evening New Haven lost a heartbreaker after Owensville rallied for three runs in the top of the seventh to edge past the Lady Rocks 4-2. Stephanie Scheer pitched a complete game, giving up just five hits, striking out three and walking three. Blair Bowers and Scheer lead New Haven in batting, both going 2-3, with Scheer batting in one and scoring one run. New Haven came into the bottom of the sixth after Sheer pitched out of a jam as Owensville had the go-ahead run on third and one out. Scheer forced the ensuing batter to pop out followed by a strike out to end the inning. Stephanie Scheer rounds first after knocking in Lindsay Nixon in the bottom of the sixth that gave New Haven a 2-1 lead. With one out in the bottom of the sixth Lindsey Nixon smashed a triple to right center and 60 feet from breaking the one-one tie. Scheer knocked a one out single, scoring Nixon and giving New Haven the lead 2-1. 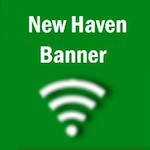 New Haven was just three outs away from a win as they began the seventh inning. New Haven began the inning with a tough break as a line drive hit down the third base line, tipping the top of Nixon’s glove as the ball was barely hit high enough. Owensville now with runners on first and second, nobody when the Lady Dutchmen laid down a bunt and third baseman Nixon charged as shortstop Carlie Steinbeck covered third allowing Nixon to get the lead runner. With one swing of the bat Courtney Smith knocked in two ones on a one out triple to put Owensville ahead 3-2. Owensville would score one more run in the inning and a 4-2 lead. Smith’s one out triple ended up being knocking in the game-winning run as the rocks went down in order to finish the inning. New Haven falls to 3-12 however they have had four games separated by four runs or less. As Coach Scheer mentioned a timely hit here or there can make a big difference in the out come of a game. New Haven will next host Linn on Monday. NOTE: The original game time of 4:30 has been pushed back to 5:30 p.m.
Remeber to Like Us on Facebook to access all the photos we take for you to download and keep. Carlie Steinbueck makes a diving play.